Chris Townsend Outdoors: How New Is Lightweight Backpacking? Good post. A bit of a trip down memory lane. I remember those books! I had the original suede Brasher boots, which were fabulously comfortable. The only drawback was the water resistance wore off quickly and they became like blotting papar! The Saunders Backpacker S was a brilliant design and weighed around 1.5kg. It would be even lighter now as you could replace the front pole with trekking poles. The KSB-3 boots were even worse than the Brasher Boots. They had a felt-like lining that soaked up water. I wore them on the 1981 TGO Challenge (or Ultimate Challenge as it was called then)and they were sodden virtually the whole way. And heavy when wet too. 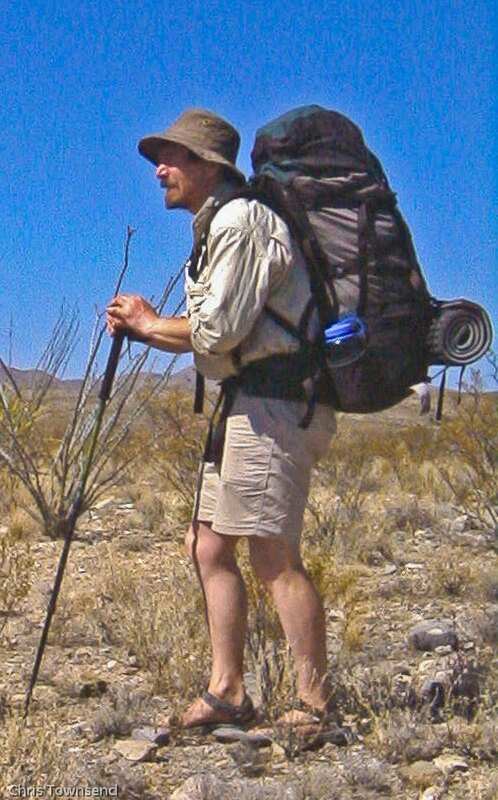 The Backpacker S was a similar design to the Karrimor Marathon and the Ultimate Packer with two poles at the front. Someone really should revive it for use with trekking poles. "The first summer mountaineering tent was designed by 22-year-old Edward Whymper in 1862. This technological marvel, which he used for his solo attempt on the Matterhorn, weighed only 23 pounds and rolled up to 6-1/2’ long. The A-frame shelter was made of the latest materials: unbleached calico walls, waterproof mackintosh floor, and four 1-1/2” thick ash poles with iron points. It was “sufficiently portable to be taken over the most difficult ground, whilst combining lightness with stability,” but required a Swiss guide to carry it. Thirty years later, Alfred Mummery was using a two-man tent that only weighed 3-1/2 pounds and used two ice axes for support. As early as 1917, a London firm was selling a roomy, “waterproof” tent made of silk that only weighed 12 ounces! The tent had to be strung in a forest, however, since it had no poles." In the big scheme of things, I'm a novice next to the likes of yourself. But from day dot, I always took it as common sense to keep weight down to a minimum. Stuff that wasn't used or likely to got left at home. I find myself nowadays though - seeking lightweight gear that is 'comfortable' as I've found some to be somewhat for the masochist. On the whole, I'd say my gear now through natural progression and personal taste is a combination of 'lightweight' and 'standard' weight. Even so, on 3-6 day hikes, I can manage to only lug about 10 kilos at most by being savvy with my choice of gear and budget. eg, I may take a few freeze-dried meals along with wet food and so on. Really interesting read - and a good day for it, too. An interesting article and food for thought. 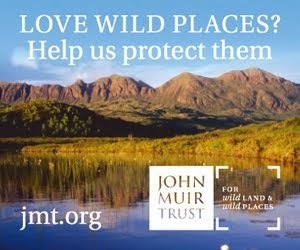 Didn't John Muir use to go around with nothing but a plaid and a loaf of bread back a hundred-plus years ago? He was tough mind. Emma Rowena Gatewood hiked the Appalachian Trail in the 50s with a blanket in a bag slung over her shoulder. She and Muir had some common ground when it came to kit. A good read Chris and interesting. Be interesting to see your latest thinking on cutting pack weight in the next TGO. I also think this is a great post, particularly your 8th paragraph. We need to be clear that the latest generation of equipment does bring advantages. Because of it, I can still repeat the trips I did in 1986. Yes, there has always been light gear, but now we can carry weights on long journeys in demanding weather conditions which would previously have been more appropriate either for weekends or for kinder climes. Chris, do you remember the Showell Styles article in TGO called Over 70, Under 20? He meant over 70 years and under 20 pounds for rucksack and contents. It's worth digging out. You have one heck of a resource there at TGO Towers. Perhaps it could be the foundation of a regular feature. The latest equipment certainly brings advantages - it's more possible to be comfortable and lightweight now. Hamish Brown kept his weight down in part by not using a sleeping mat and having a basic pack with no hipbelt or padding. I remember Showell Styles article. I probably have it somewhere - but it could take hours to find it! I don't think they keep back copies in the TGO office - at least not that far back. A good read, as others have said. I remember the original in TGO, thought provoking then, and the same now. I'm sure we all have favorite gear from the past which was good in its day, and were it not worn out would be still be great today. Of course they could be made lighter with modern materials. Pheonix tents were one of mine, I wonder how light a Phreeranger design could be made today? The durability of "todays" lightweight gear far exceeds my expectations in almost all cases. My own experience of Golite Reed overtrousers is a case in point, the fabric feels wafer thin. I bought a pair of these about 6 years ago, tried them and found them very breathable but thought they wouldn't last very long, so i bought another pair. The originals are just starting to leak, after what must be many hundreds of miles. 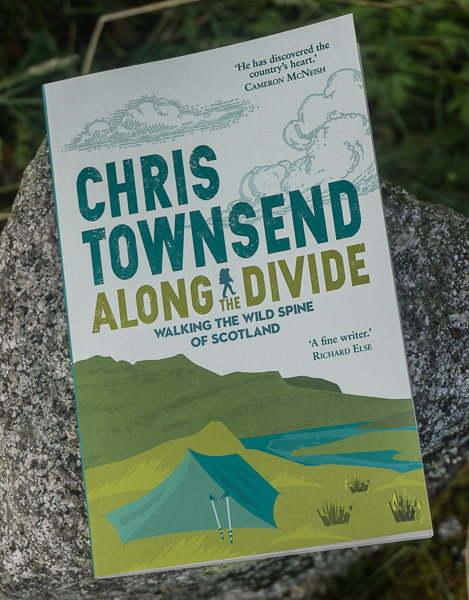 On a seperate point and I'm sorry to hijack the thread Chris, do you remember an article you wrote for "Footloose" about a bivi trip in the Yorkshire Dales. You bivied on top of great Whernside and Plover Hill if I recall correctly. This was probably 30 years ago, it was a great inspiration at the time, and showed me at the time that you didn't need to hump a Mk II "lightweight" over hill and dale! Al, I'm amazed anyone remembers my article on that Dales trip! I was using a Buffalo Pertex/pile bag for the first time. Thirty years ago sounds aboutn right. With cuben fibre I reckon you could get the weight of a Phreeranger to under a kilo. That was one of my favourite tents - I used it on my Canadian Rockies and Yukon walks in 1988 and 1990. You were wearing saddles in the Arizona picture. Is that still your preferred summer wear? What brand do you recommend? Sorry, .."sandals" unless you were really riding through Arizona! Hi Walt, I was walking not riding! I like Teva Terra Fi sandals. Merrell and Hi-Tec are pretty good too. I still prefer sandals in hot dry places but now that trail shoes have got so light I wear them more often. On the Pacific Northwest Trail last summer I wore Inov8 Terrocs most of the time and some Merrell sandals I bought along the way when it was very hot. Like others I really enjoyed this article, which I read whilst laid up with illness that has kept me off the hills now since October. Having to go periodically to sniff my rucksack to keep sane! Excellent post, Chris. Showcasing that the whole hype ain't new, though some new materials certainly helped making UL or even SUL possible. Depending on the luxuries you need, of course - Grandma Gatewood, Muir and Nessmuk have shown that one doesn't need much to enjoy the outdoors. "Gear was designed to be suitable for the rigours of a Himalayan expedition rather than the Pennine Way. You might not be going to climb Everest but you should look as though you were training for it." This quote still holds true, in my opinion. Many people want durable, tough gear to survive... walking to the supermarket. In a spring rain shower. David, my first decent big pack was a Brown-Best pack frame, round about 1973. It came without a hipbelt! I bought one of the inflatable ones but it punctured too easily to be of much use. After a year or so I sold the BB and bought a Camp Trails. I wore Spanish Fell Boots - bought from the Army and Navy Store - on school fell walking trips. The first Brasher Boots looked rather like them! My first "proper" walking boots were made by Hawkins, a now long gone English boot maker. Hendrik - new materials certainly make it more comfortable to go lightweight. My piece was about modern backpacking, mainly in Britain. If you go back to the early days of outdoor recreation people were coming up with the same ideas, as Clyde pointed out. The book "Invisible on Everest" has many fascinating examples. In 1905 the Alpine climbers W.T.Kirkpatrick and R.Philip Hope made rucksacks out of gaberdine cotton that weighed 6 ounces each. In 1905 Thomas Holding's Phantom Kit for the self-propelled camper weighed 6 pounds including tent, down quilt and "cooking apparatus". The addition of clothing and some food took the total weight to 12 pounds. Jan '79 for the Showell Styles article. Has TGO really been going for all that time? Thanks for finding that link Phreerunner. TGO began in 1978 I think - as The Great Outdoors, edited by Roger Smith. The TGO Challenge began in 1980, as the Ultimate Challenge. I was the first applicant! I may even have thought about entering myself, but we went to the Lechtal Alps instead. Then we got hooked on Showell Styles's BP in Alps and Pyrenees for a few years. Holidays were very limited in those days...it took me until 2007 to enter the Challenge. Excellent article Chris a real trip down memory lane, especially paragraph 6. "The temptation to buy this or that bit of indispensable camp-kit has been too strong, and we have gone to the blessed woods, handicapped with a load fit for a pack-mule. This is not how to do it." Sears apparently travelled with a load of 26lbs including his canoe! His book was published in 1894! Lightweight is no newer than common sense. 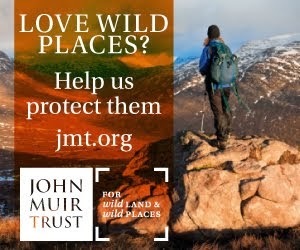 Thanks for sourcing the Muir quote Chris. I wonder how easy it is in the Highlands to get a campfire going for a brew, given how wet it often is? Robert, the real problem with campfires in the Highlands is the lack of fuel. Bothies with fireplaces in wooded areas solve the problem of the rain and are the only places I ever have a fire, other than tiny ones lit in wood burning stoves, which don't require much fuel. 60's: Orange pollycotton kangaroo anarak, tweed breeches, long wool socks, heavy duty boots wi' tricounis and lo' and behold an original Tiso sack with the old hemp rope thrust through the top. Everything still looked lighter for travel than what was on offer in the shop. In those far off days of unemplyment and the dole I had the time of my life. I wondered everywhere and slept where I felt like, bothy, bivvy, doss, tent, shelter. I carried the then revolutionary telescopic fishing rod just to vary my diet from square sausage. I've been nomadic ever since and now that all the youngsters are up and away I will be dissapearing now and again and I won't be leaving a forwarding address. Magic post mate - keep up the good work. It brought back great memories. Still have my Karrimor Jaguar IV rucksac with backpacker's club badge (1970s vintage) attached - sorry Eric Gurney, should have handed it back. Nice article! It shows one more time, that the actual "Ultralight is Dead"-Discussion is useless :-) You just saw it near 2 years ago ;-) Thx.